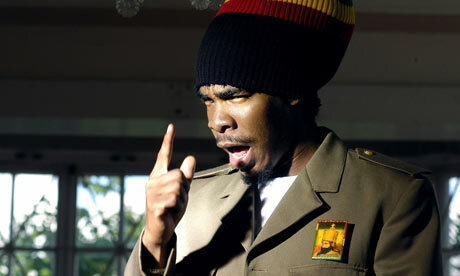 Does reggae really need a dancehall X Factor? It has become a cliche of documentary film-making that a project which sets out to capture people’s differences will only end up emphasising how alike we all are. How many times must a western crew have voyaged up the Amazon, hoping to capture footage of an undiscovered tribe who ritually sacrifice their first-born to the monkey god, only to find a bunch of loggers crowded around a TV set, beers in hand, yelling at Robinho to pull his finger out? When Argentinean-American director Luciano Blotta first travelled to Jamaica seven years ago, he came up with the idea of making a documentary about the local underground music scene. This would be a thorny proposition for any outsider; even more so for a film-maker who admits that before touching down in Kingston, the only reggae artist he could name was Bob Marley. This entry was posted on Sunday, February 28th, 2010 at 3:20 pm	and is filed under Caribbean News, Reggae Music. You can follow any responses to this entry through the RSS 2.0 feed. You can skip to the end and leave a response. Pinging is currently not allowed.